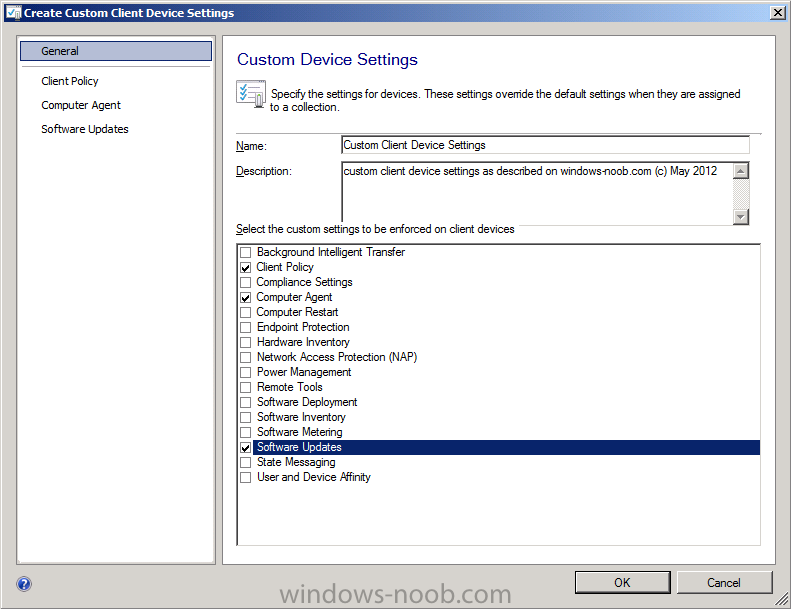 In the Administration workspace, right-click on Client Settings in Site Configuration and choose Create Custom Client Device Settings. 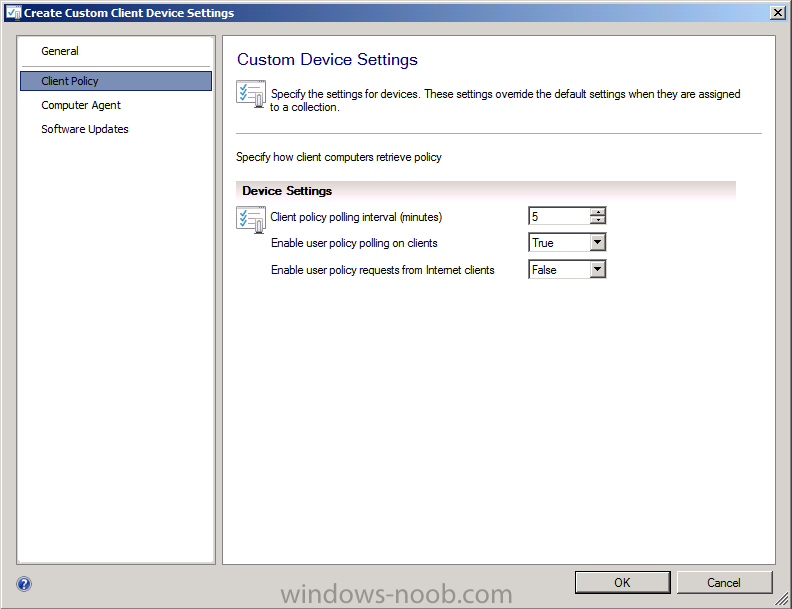 in the left pane, click on the first selected, Client Policy, this is a LAB so lets be more aggresive than the Default setting of 60 minutes in the client policy polling interval, we will set it to 5 minutes in the LAB. This means that once every 5 minutes the Client will contact it's Management Point for any new policy. It's probably best not to set it this aggressively in production as you could generate a lot of traffic from the clients to your Management Point and that will mean two things, increased network load and increased load on the Management Point server, and we all know that the more you load your servers, the slower they get (usually). Next we will configure the Computer Agent settings from the options in the left pane. 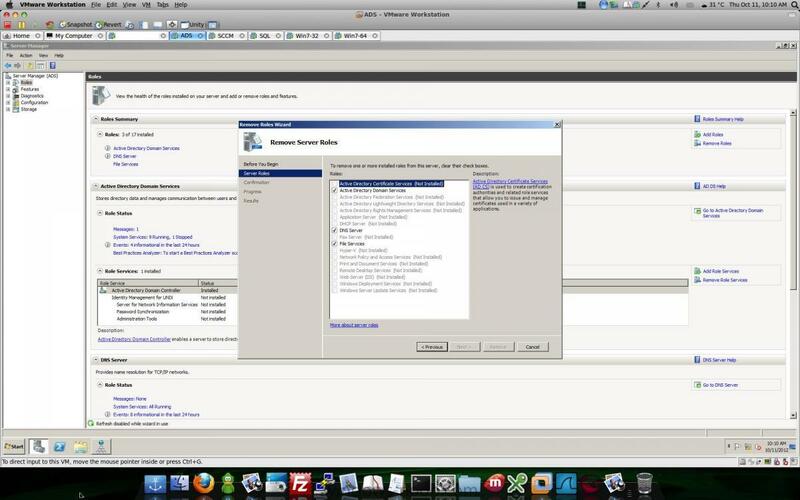 The first thing you'll want to configure is the Default Application Catalog Website (which we installed above ! ), so click on Set Website. In the left pane select Software Updates and set the Software updates scan schedule from 7 days to 1 day, this will be because we want to synchronize Endpoint Protection definition updates on a daily basis. 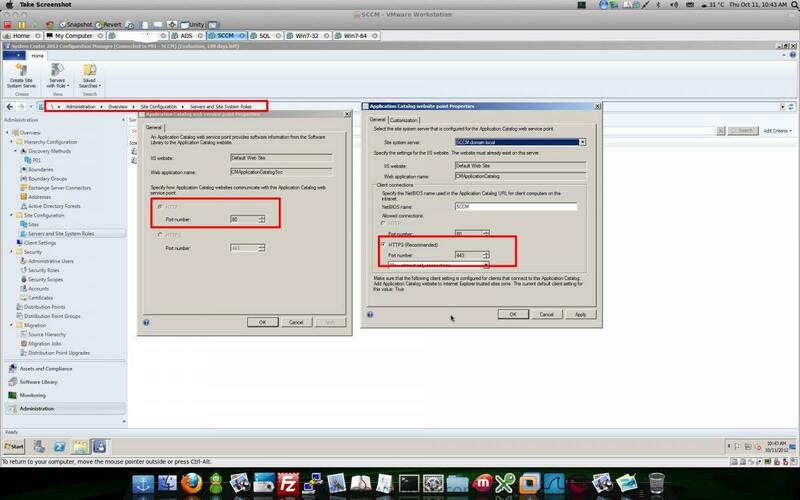 We will be configuring Endpoint Protection fully in a later part of this series. Apply your changes by clicking OK. Step 3. Deploy our Custom Client Device Settings. 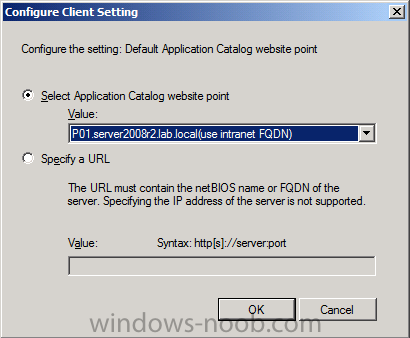 Note: Perform the following on the Primary Site server (P01) as SMSadmin. 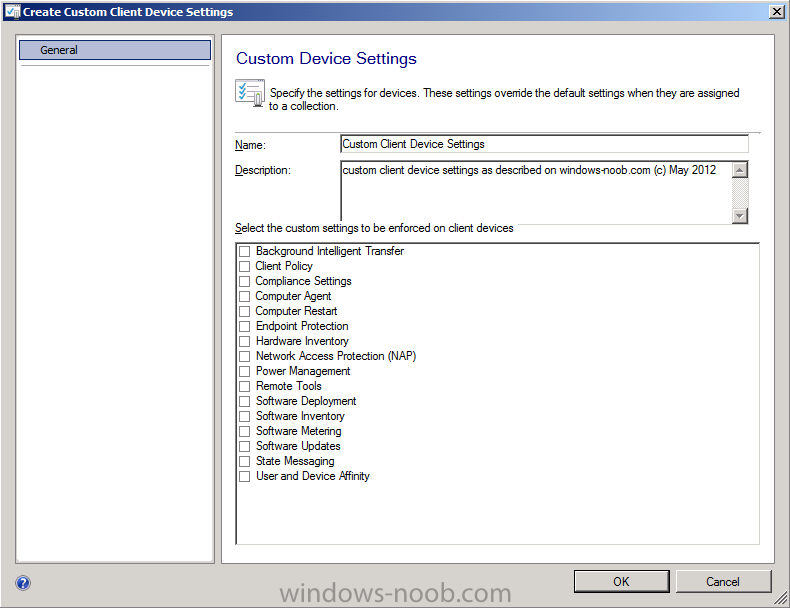 Creating custom client device settings will not take effect until they are deployed to a collection. 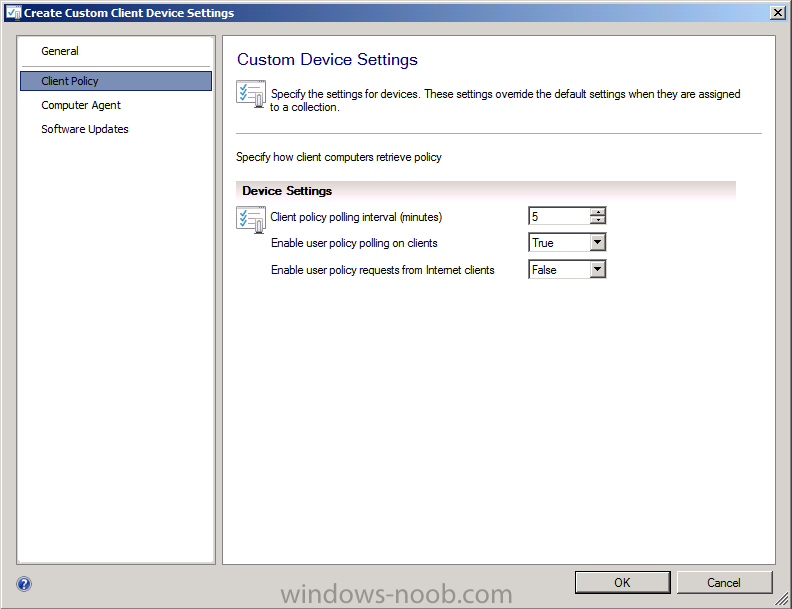 Right click on our newly created Custom Client Device settings and click Deploy. Select the All Systems Collection and click OK. By doing this action you are applying the Custom Client Device settings to all devices in the All Systems collection. As this is a LAB we don't have many computers in there but that will grow over time. Tip: Now that you have created and deployed our Custom Client Device Settings you can go ahead and create more Custom Client Device Settings with different options as appropriate and then Deploy them to different collections. 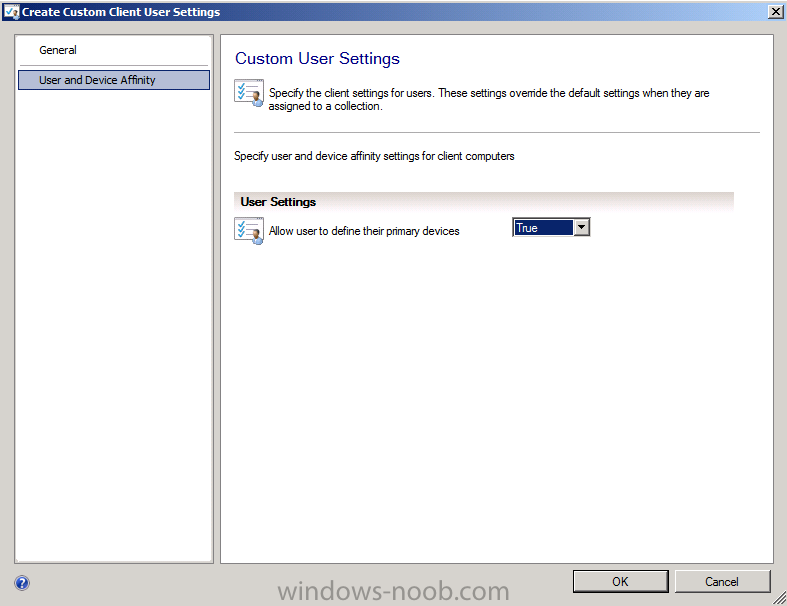 In addition you can change the priority of the Custom Client Device Settings so that one takes priority over another (highest priority wins). Now that we have our Custom Client Device settings done, let's turn our attention to creating Custom Client User Settings, there are not so many options in these settings but they are useful none-the-less and they are also user specific. They allow you to define whether users can define their Mobile devices and also allow users to set their own User Device Affinity. Step 5. Deploy our Custom Client User Settings. 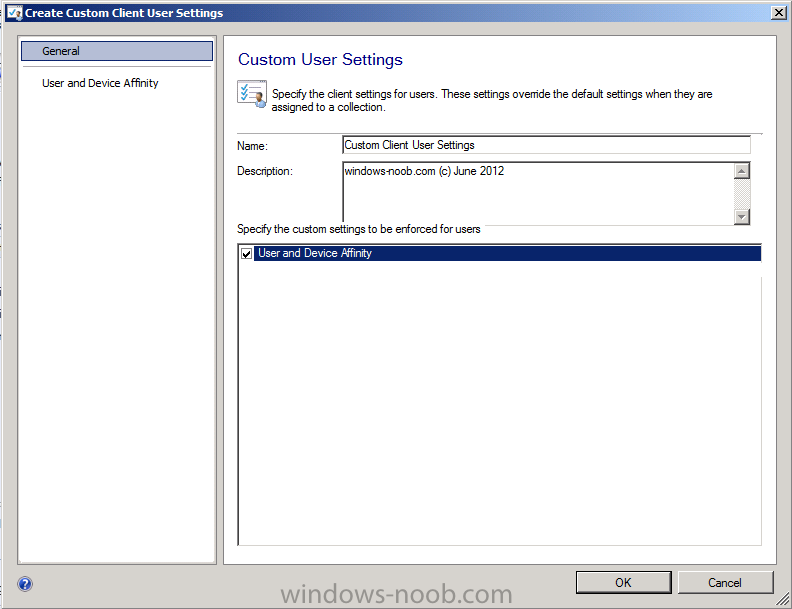 Right click on our newly created Custom Client User settings for site P01 and click Deploy. As these are custom Client User settings you need to deploy them to a User Collection, as this is a LAB we don't have to be fussy so we will select the All Users collection, in production you'll probably want to have more than one Custom Client User Settings defined with different settings for different User Collections. 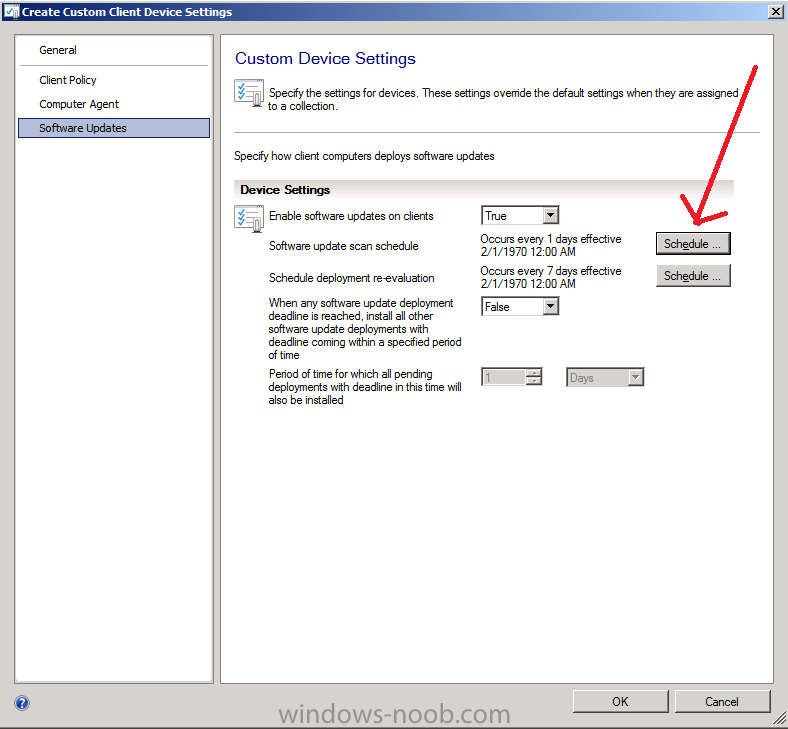 In the Next part of this series we will add the Software Update Point role and use it to deploy the Configuration Manager Client to our computers and then we will verify that they are receiving the Custom Client Device Settings and Custom Client User Settings we've defined above. in this part, you mentioned: "We will be configuring Endpoint Protection fully in a later part of this series." I figured that would be part 6 or 7, but didn't see it out there. Am I missing it somewhere? Am I missing it somewhere? nope, i just havn't had time to write it yet, be patient, each part takes me days to prepare and complete. 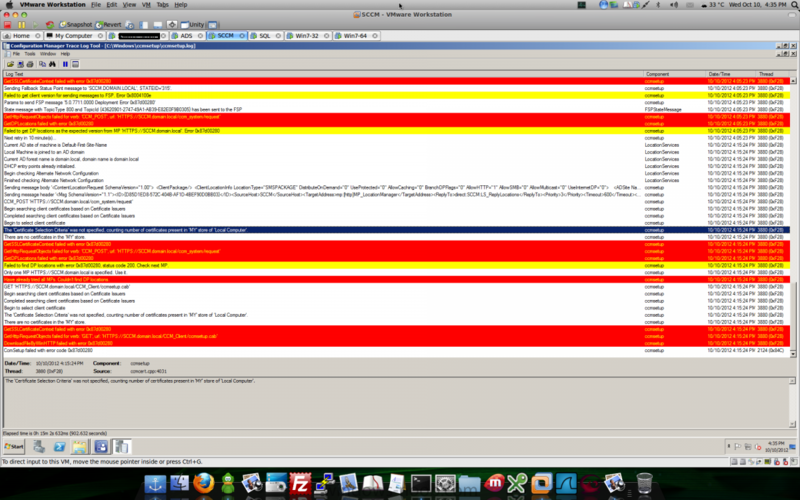 Edit: the Endpoint Protection part is now done, see here. Note: You will probably want to verify that the Application Catalog website is working properly at this point but to do so you'll need a computer that has Microsoft Silverlight installed. 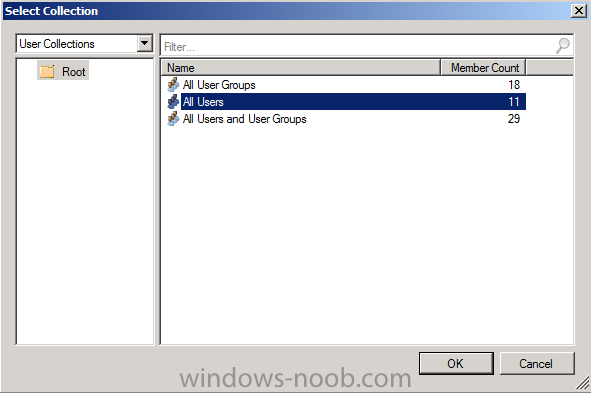 The Application Catalog requires Microsoft Silverlight, which is automatically installed as a Configuration Manager client prerequisite. If you access the Application Catalog directly from a browser by using a computer that does not have the Configuration Manager client installed, first verify that Microsoft Silverlight is installed on your computer. can you tell how to do that? Also read my reply in order to kick off the process immediately rather than waiting 60 minutes. you've setup your DP as HTTPS, do you have a PKI infrastructure ? Thanks for your answer . Nope i am not PKI installed ... How to make HTTPS to HTTP ? I checked appcatalog found some thing refer a Screenshot .. I installed PKI infrastructure and confiogured . ALl clients installed certificate now . I have set up a new SCC 2012 heirarchy. 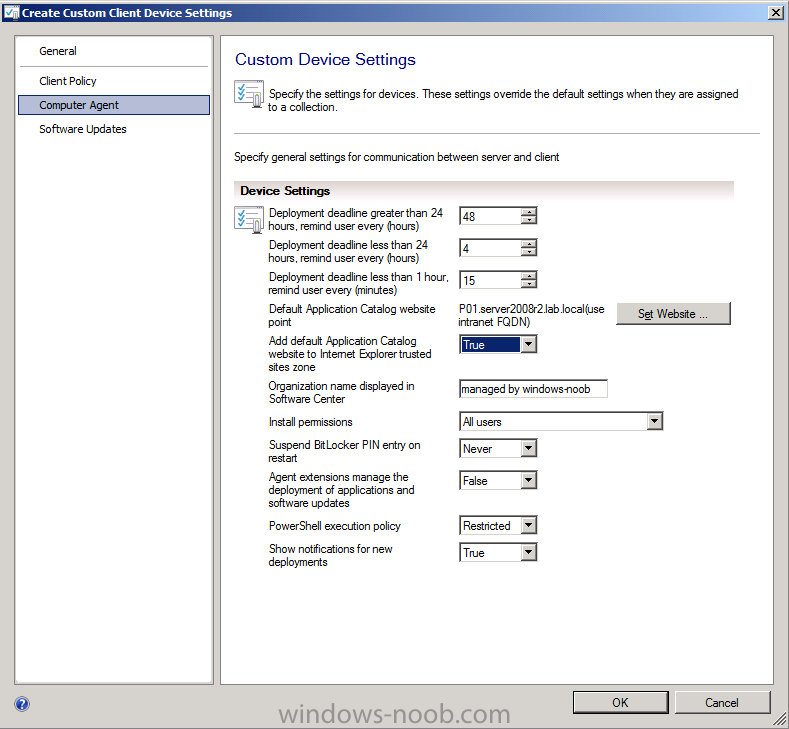 While trying to deploy the client settings and wehen I right click on it, I do not see the deploy option. The only option available there is PROPERTIES, with which i can alter the properties, I do not see the deploy option or any other option. Do let me know if you want to see the screenshot for the same. What am I doing wrong????????? Client installed but its not reporting on my SCCM ???? 11 October 2012 - 08:36 AM . can you i shared a Image which is graed out ... HTTPS and HTTP ..
OKIE .... I think i made something wrong installing on WIndows 2008 R2 -4 bit ?????? I had the same issue. I found adding the server to the Local Intranet Zone did the trick. 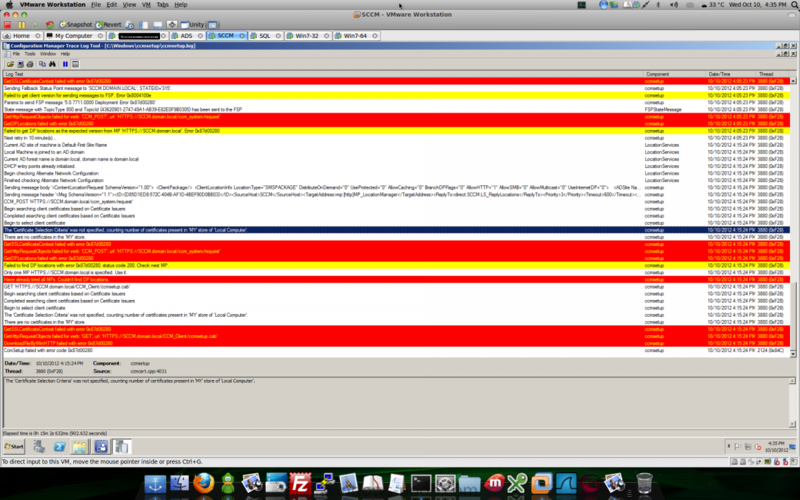 I am still not certain why Automatically Detect Intranet zone is not picking this up. I have come to the point were I feel the need to ask a question here in the great forum. 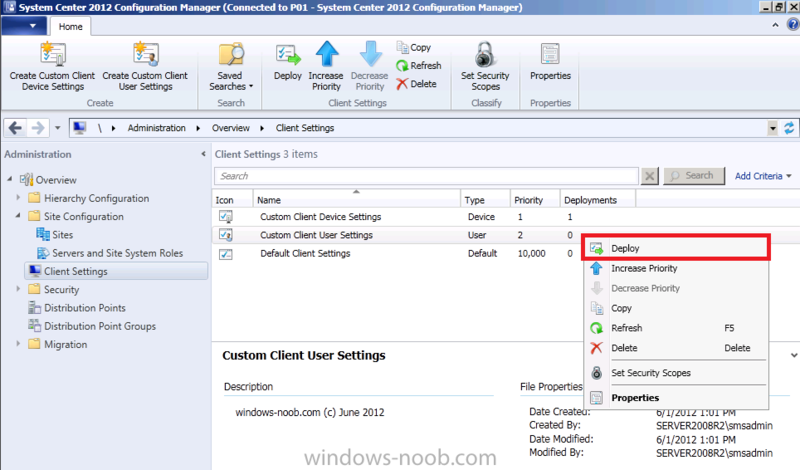 I have followed the guide for installing SCCM, with a CAS and a Primary server. 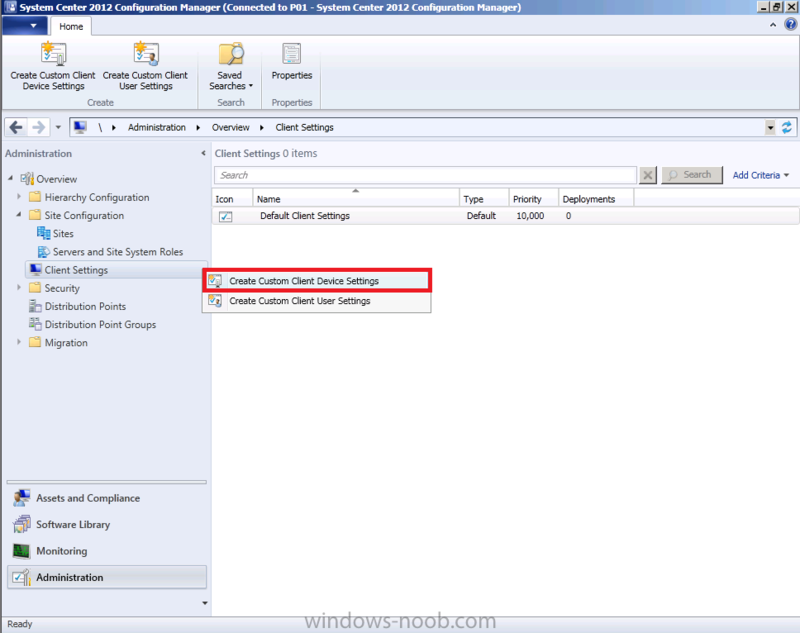 My problem is that I am missing a few applications in IIS on my Primary server (SCCM) after everything is done, and thus my clients can not access them. I have not been able to locate where theese should have been created, and what causes them to not be created. 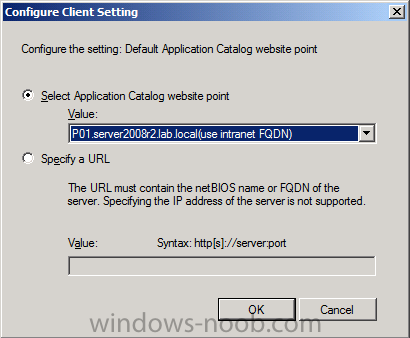 On my Windows 2008 R2 server with IIS7 i have the following content under default website. Failed to find DP locations with error 0x80004005, status code 404. Check next MP. 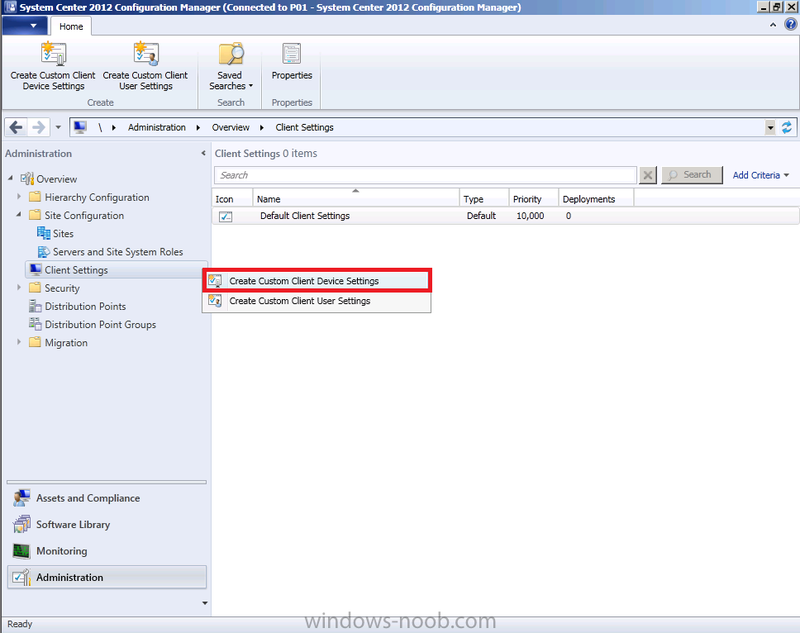 Only one MP http://SCCM.pp.local is specified. Use it. Have already tried all MPs. Couldn't find DP locations. I have been trough the logs and cant find anything that sheds any light on this, nor have I found info about this in the forums. There is a lot of similar issues, but thoose are pointing to firewall, installation account, and other issues, and not to IIS itself. I have a primary site test lab versus a CAS plus primary sites environment. Does it matter if the Application Catalog roles point towards the custom site specified for WSUS or the default site as in your guides? I am also a newbie and currently stuck on trying to either push a client install or using a batch file for it. Only when using the second method I see ccmsetup.exe *32 in the task manager, but it doesn't install. Just restarted and tried again, same issue. ccmsetup.exe is in the task manager, but pretty much hangs and nothing is installed. Any advice at this point is helpful. I got it working just once earlier when using a VM, and now cannot duplicate it working any more. Ok, this is a secret. 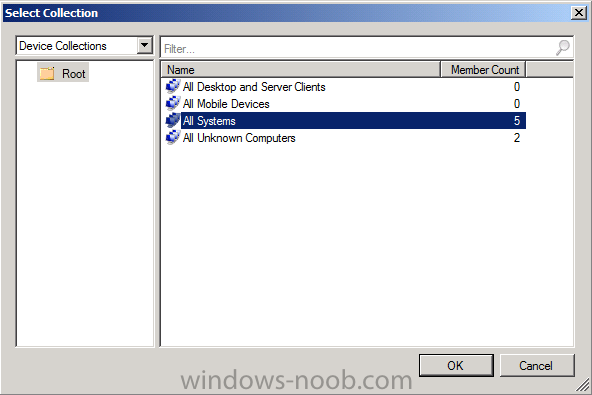 Windows 7- xp clients, use right click tools thru config mgr, connect to the C$ share on each pc. 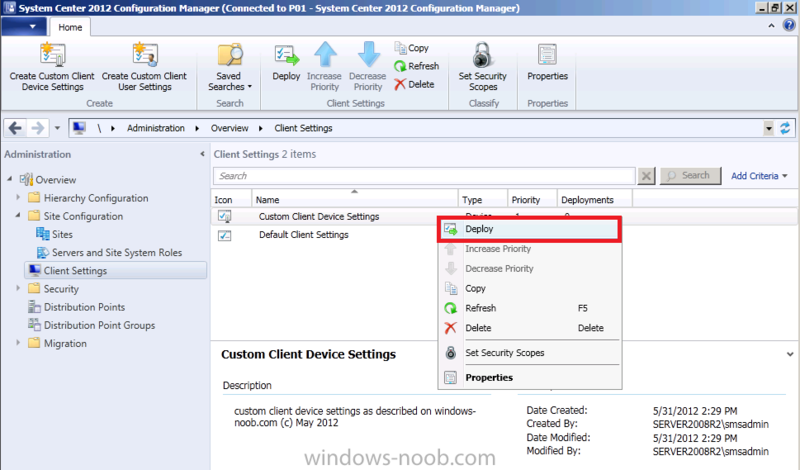 Delete the ccmsetup directory on the clients windows directory. Then push or deploy the client and it will work.! 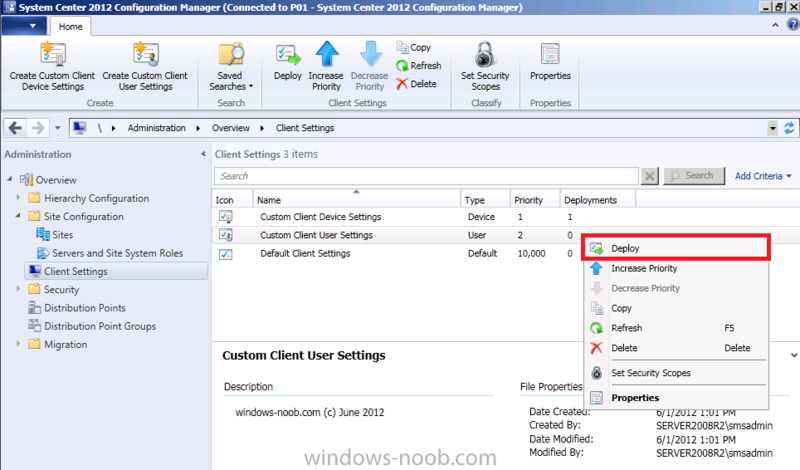 !Ccmsetup, runs as a service thru sccm console! but not thruough right click tools. The best way to deploy clients, have it on each new pc, push the client thru confg mgr, Have a gp to force install clients. Beware of firewall issues on clients , set up a gp to force domain firewall policy to be disabled. If its a remote client in another physical office that goes thru a cisco firewall , have your security team open up sql ports, windios file and sharing ports and WMI! GET RIGHT CLICK TOOLS!!! 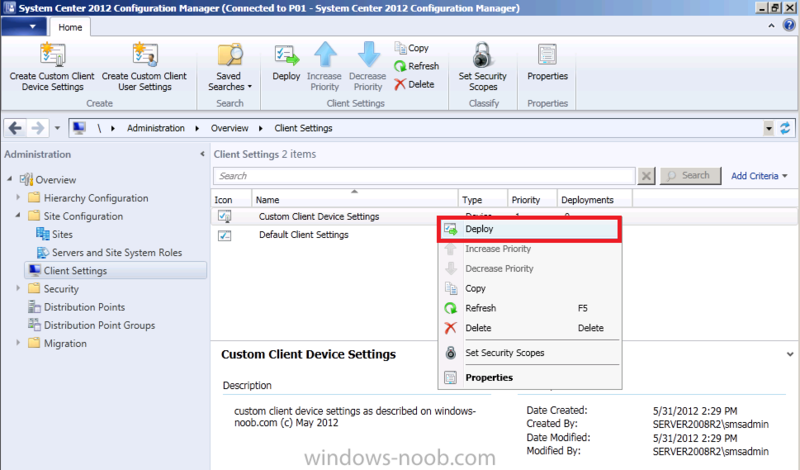 DELETE OLD CCMSETUP DIR IN WINDOWS! Create Device collections to manage your computers easily. Thanks. 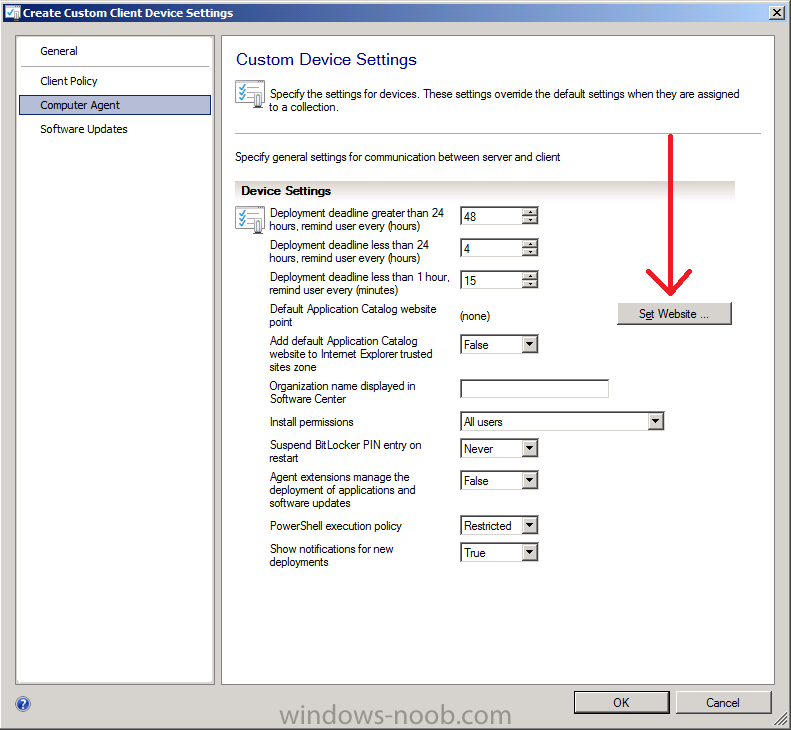 Are you able to provide any info on the hardware/software firewall ports to open up as it seems like I can only ping the client that I want to install onto but I continue to get an error using Right Click Tools when trying to deploy the client to it.